Stout plant with a thick, grayish-brown, fleshy root that grows about six inches into the ground and is shaped like a carrot. 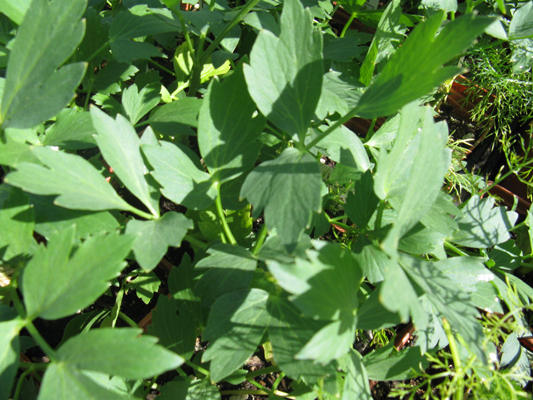 The thick, hollow, erect stems grow to about six feet in height and produce large, dark green, radical leaves, which are divided into wedge-like segments, not unlike those of celery. The leaves can be used in salads, or to make soup, and the roots can be eaten as a vegetable or grated for use in salads.